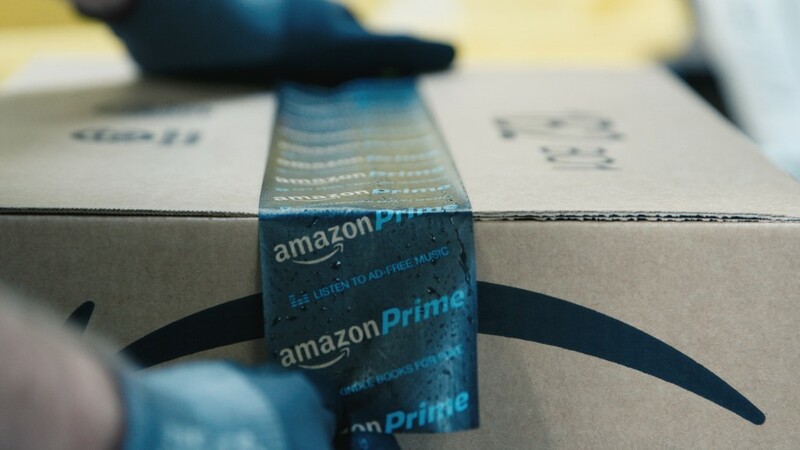 Did you buy nearly all your presents for the holidays at Amazon? I did. And I must not be alone. Jeff Bezos is the new Santa Claus. But to the rest of retail, Bezos is the evil Krampus that's punishing them all for their naughty behavior. Consider this. Amazon (AMZN) is now worth more than these 10 well-known retailers combined: Macy's (M), Kohl's (KSS), Sears (SHLD), JCPenney (JCP), Nordstrom (JWN), Best Buy (BBY), Barnes & Noble (BKS), Dillard's (DDS), Gap (GPS) and Target (TGT). Amazon's market value is just north of $370 billion. These other retailers are collectively worth a little less than $95 billion. And a big chunk of that is from Target, which has a market value of $40 billion. Amazon also is worth significantly more than other global retail giants. Its market value is about $135 billion higher than Alibaba's (BABA) and $160 billion more than Walmart (WMT). Amazon is worth more than twice as much as Home Depot (HD), and six times as much as Lowe's (LOW). The company is much more valuable than another famous retailer based in the state of Washington too -- Costco (COST). That warehouse giant, which is increasingly competing with Amazon in the grocery business, is worth about $300 billion less than Amazon. Traditional retailers are doing all they can to compete with Amazon. But it looks like they are going to have to use the old Avis (CAR) rental car motto and try harder. JCPenney joined Macy's and Kohl's Friday morning by reporting disappointing results for the holidays. "Brands like Macy's, Sears, and Kmart are struggling to evolve their brands and stay relevant for today's digitally-savvy and dynamic shopper," said Forrester retail analyst Brendan Witcher. No kidding. And the stock performance of all these retailers clearly show that many retailers are also to struggling to remain relevant with digitally-savvy and dynamic investors as well. Amazon, for better or worse, is the only major retail stock that Wall Street wants to put in its shopping cart.